If you are planning or have already booked a trip to Indonesia, and are visiting the islands of Bawah and Bali, you may be unsure what you need to pack. This blog post aims to take the mystery out of that. Bali is a great place to go on holiday, any time of the year. Thanks to the fact it is warm all year round with a tropical climate, packing for a trip here, in terms of clothes is not actually as difficult as you may think. We know that packing in general can be something of a stressor for most people, but we are here to help. 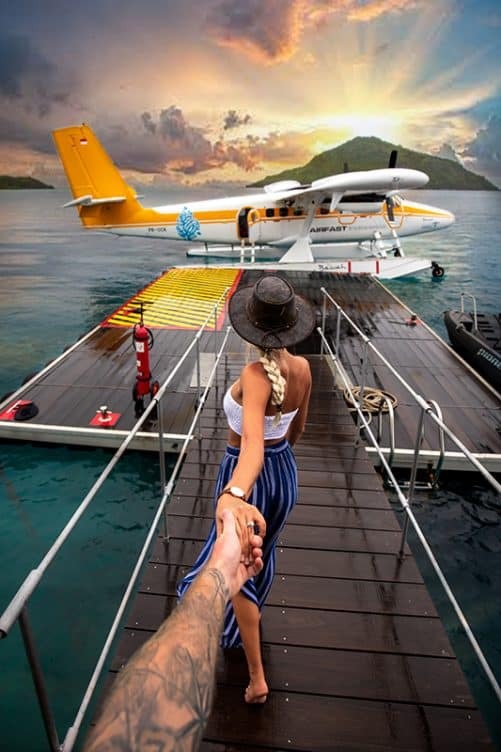 If you’ve been before, you will have a better idea, but if this is your first time, you’ve come to the right place as we are going to impart some handy tips and advice for packing for your trip so that you get the most out of your Indonesian experience. The smaller bag option also has the bonus that you may be able to avoid waiting for your luggage at the airport at either side of your trip. If it meets the regulations you may be able to take it on to the plane with you. Obviously, the amount of clothing you take depends on how long your trips is. With regards to things like underwear and other items you are likely to change, you will need a pair for every day, but you may be able to get away with having less of other items that could be worn more than once, like skirts and trousers or shorts. Remember, you will only be packing lighter pieces of clothing like t-shirts, short-sleeve shirts, vests and although you need to cover up for some of the areas in Bali, this can be done easily by wearing a scarf or sarong if you’re a woman. Temples are places where you are expected to show respect for the customs and fact that they are places of religious significance. For a beach-based holiday, you need to bring beach towels, right? Wrong. Most hotels and other resorts that you are likely to stay at will normally provide you with beach towels. So, check with wherever you are staying to see if they do. If not, you can still save space by just buying some breach towels once you arrive. They are relatively cheap and your shoulders and hands, as well as your bank balance will benefit from only adding them to your bag once you have arrived. As Bali is a perennially hot place, you will find when you are not exploring the interesting architecture, temples and marketplaces that you spend a lot of time at the pool or beach. Therefore, swimming costumes, trunks and bikinis are essential items you need to have in your bag. The great thing about these items is that they do not take up much space. While you are there, you will probably want to carry your money and day to day belongings in a bag, so it’s safe and secure and frees up your hands. The Wombat Leather Urban Satchel is a great choice for this kind of everyday bag. Not only does it fit nicely and comfortably over your shoulder, it has plenty of room for all your essentials without being too heavy or cumbersome. It helps that it also looks stylish too. Hats are more than just stylish accessories, especially when you are visiting the islands of Bawah and Bali, off the coast of Indonesia. While you will want to bask in that sun and benefit fully from it when you are at the beach or at the side of the pool, there are other times when you’ll want to protect your head, face and eyes from the bright and blazing sunshine. This is why we would always advise that you invest in a good quality leather hat. 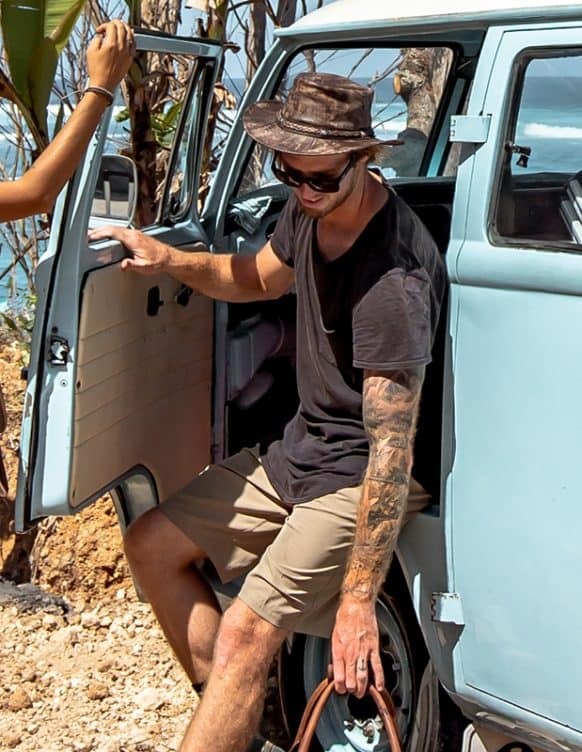 Two great options in this regard are Wombat Leather the Wilds Foldable Leather Hat and Wombat Soft Distressed Brown Foldable Leather Hat. You will definitely look trendy and cool walking through the towns and markets and they are not too over the top so that you will look like a tourist. Both options are made from high quality leather and as well as being incredibly robust and durable, they also benefit from being very practical. How so? They can be folded away when you are not using them. Hats can be a little cumbersome, which is why Wombat Leather have ensured these can be folded right down and will not take up too much space either in your bag or pocket. When you are on holiday, especially in picturesque locations like Bali and Bawah islands, you want to document your adventures. However, you can make the mistake of taking too much technology. Put it this way, the more technology you take with you, means the more insurance you may have to invest in. It also means that more space in your bags is going to be taken up not only by the gadgets and gizmos themselves, but things like chargers and other accessories you may need. It’s much wiser then, to keep your baggage as lightweight as possible, to pack only the tech you actually need. Certainly, take a camera and your smartphone, but do you really need your laptop, tablet and smart watch. You may even be able to skip taking the camera if you have a decent enough snapper built into your smartphone. Another thing to remember with regards to technology on holiday. The more stuff you bring, the more stuff you have that can go missing, break or even worse, get stolen. So, we say save those woes and stresses and try to limit the amount of technology you take to the items you really need. Everything else can stay at home where it is safe and secure. While we totally understand the stress surrounding packing for a trip to Bali. Particularly if you are going from the UK. It is, after all, the other side of the world. However, with the right amount of forethought and planning, it is relatively simple. We hope you can see that from our guide above, which although it is not exhaustive, it does contain a lot of the essential building blocks you need to pack sensibly for your trip to Bali and Bawah. A holiday should be enjoyed and holidays start, we feel, from the moment you leave your house to go to the airport. Therefore, take the misery out of packing so that you can reserve your energy to get the most out of your trip as possible.